Caring for both children and an aging parent may make you feel a bit stuck—but there are solutions. The students of Washington Township High School crowded the gym, dancing until 8 a.m. on Jan. 18 during their Monzo Madness fundraiser. Skylar Raye Noyes is ready for her close-up. Moorestown’s Noyes joined the cast of the Walnut Street Theatre at the start of 2013 in their production of “The Music Man,” where she sang and danced alongside several other South Jersey children. A typical day for Shawnee business teacher Bozarth doesn’t end at the final bell, as he also serves as the school’s student council advisor and plans the senior trip to Disney World every year. What if you could wrap up a play, story, concert and circus all into one? We take a look at the latest trends in treating arterial and vascular diseases. Through community workshops and prevention measures local health systems are working toward the goal of reducing heart attacks and strokes across the nation. 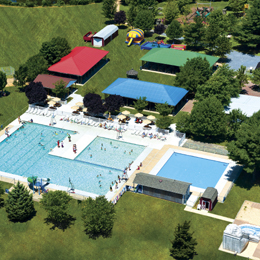 Tall Pines Day Camp in Williamstown is a popular summer hot spot. Sub-acute rehabilitation puts patients on road to recovery at CareOne at Moorestown. Finding the right preschool can be a daunting task for parents. Besides factors like location, hours, teacher quality and price, parents must also make sure that the school’s atmosphere will fit their child. At Huntington Learning Center in Cherry Hill and Turnersville, students between the ages of 5 and 17 receive help in a variety of school subjects.